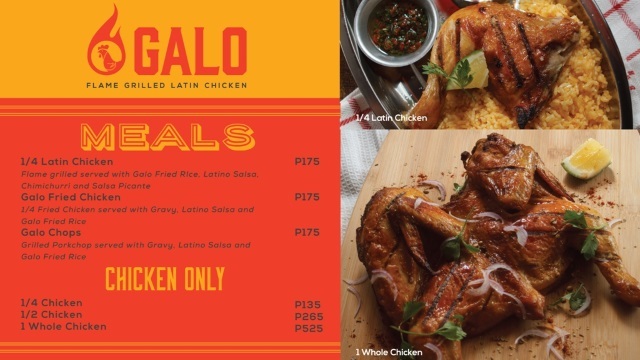 Galo Flame Grilled Latin Chicken is one of the New Restaurants at the Venice Grand Canal Mall, McKinley Hill, which specializes in Latin American style grilled chicken as well as other Latin American comfort food such as nachos, quesadillas and patatas bravas. Galo serves excellent quality meals at affordable prices. Food is freshly prepared and serving size is really filling. I checked out the place yesterday and decided to give it a try. 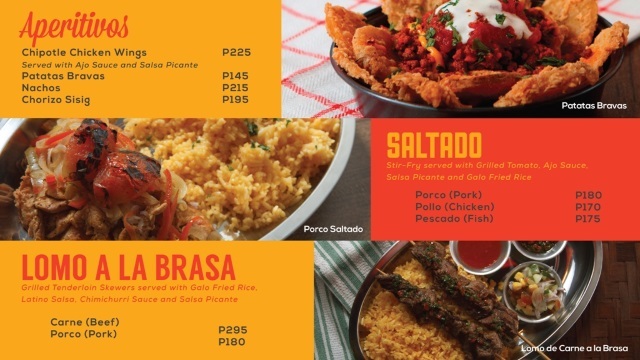 I ordered their signature dish, the 1/4 Latin Chicken meal (P175.00) which comes with a flame grilled Latin chicken, Galo fried rice, Latin salsa, Chimichurri and salsa picante. The chicken is beautifully flavored with herbs and spices and grilled perfectly with the meat tender and moist. The Galo fried rice had a balanced flavor which went well with the chicken. I loved the Chimichurri, the Argentinian green sauce made of chopped parsley, oregano and garlic in oil and lime. Its tangy-herby taste brings out and enhances the flavor of the chicken. The salsa picante (the red sauce) gives a little spicy kick to your chicken. I personally find their salsa picante a bit mild, so if you love spicy food, do ask for extra hot sauce or tabasco. The Latin salsa is a nice blend of pickled vegetables and corn with a balanced sweetness and sourness. I have yet to try their other dishes and will update this article to let you know what I think of them. But so far, I enjoyed my first dining experience at Galo and I really recommend that you try it as well. Below is a copy of their menu. 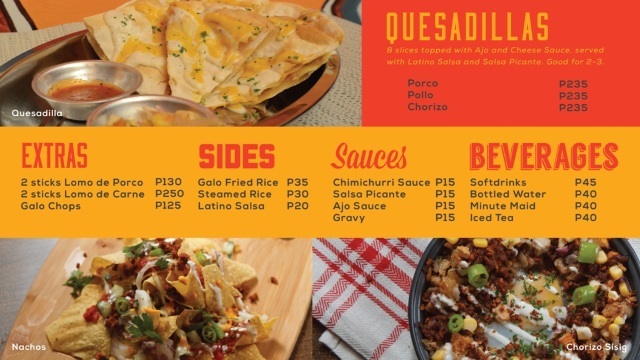 Have you tried Galo? What do you think of their food? Which ones do you recommend? Tell us and other readers by commenting below. Thanks!